2. studsandspikes.com studded cuff, 'We'll always have Paris' engraved bangle, markets silver cuff, Sportsgirl leaf cuff, Sportsgirl enamel stud bangle, Sportsgirl zipper bangle. 3. Forever 21 beaded choker, Diva gold plaited choker. 4. 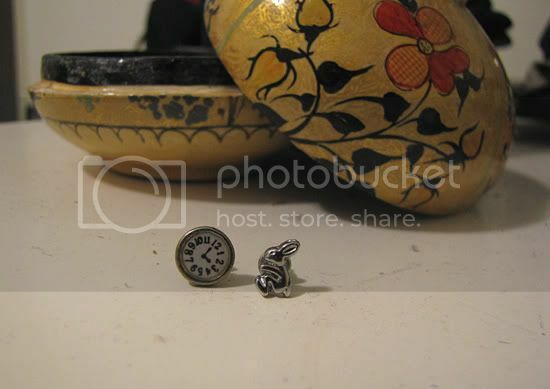 Alice in Wonderland earrings (came in a set with a spade and heart as well). One of my favourite pairs of earrings. 5. 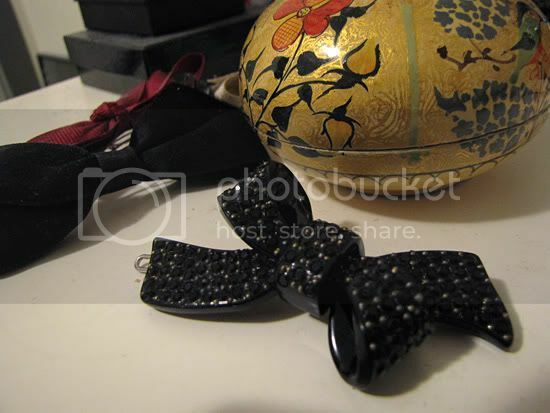 Mimco studded bow hair clip, Etsy red bow hair clip, chemist black satin bow hair clip. 6. Sportsgirl statement necklace, Sportsgirl leather plaited wrap, Casio watch, Sportsgirl enamel bangle. 7. Not jewellery but a gift I received today and love to bits - Celia Birtwell rose compact mirror. 8. 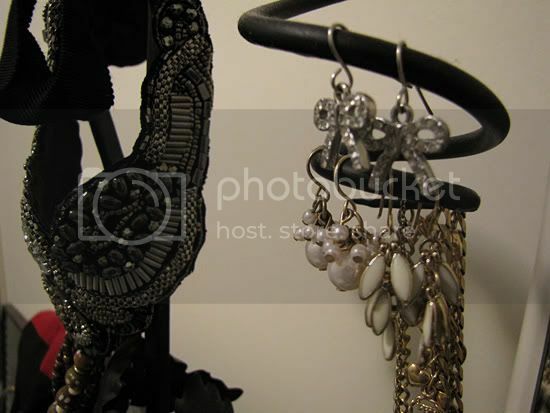 Cotton On bow earrings, Diva pearl cluster earrings, Diva rice grain earrings, assorted gold charm bracelets. 9. 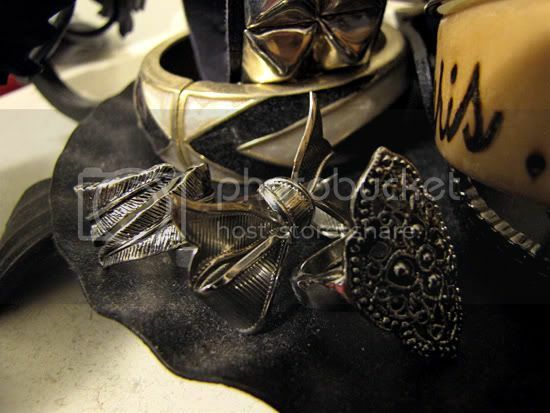 Sportsgirl leaf wrap ring, Myer bow ring, Sportsgirl shield ring. wow! youre jewellery is gorgeous! i especially loves that tiffany bow at the top! if youre thinking of selling of it, you have a customer in me! Oh, I really love EVERYTHING! I've just ordered the bow necklace from Etsy, and can't wait to get it. 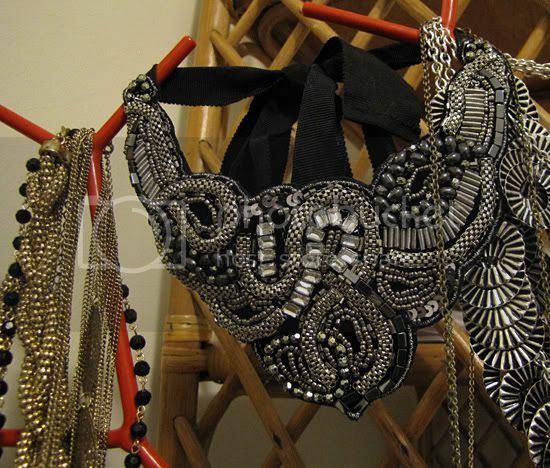 You have a great accessory collection! I'm in love with everything! 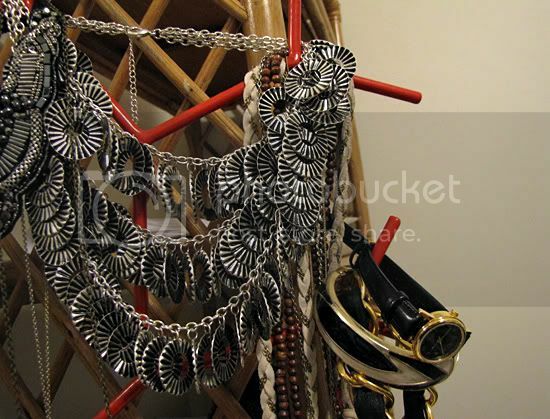 I often find myself wondering how I decorated myself before Etsy...i love the top necklace! Wow, I adore all you posted here! i love all of the pieces! I can't believe that beaded choker is from F21! the brass bow is amazing..
Oh wow they are all eye candy to me!!! I love all your accessories!!! Fav= brass bow for sure. 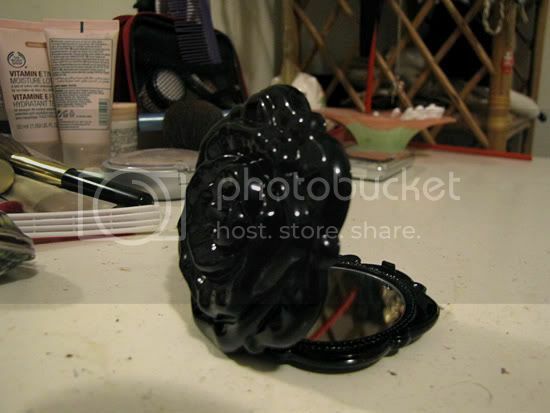 I love that rose mirror! You got some amazing jewellery there! 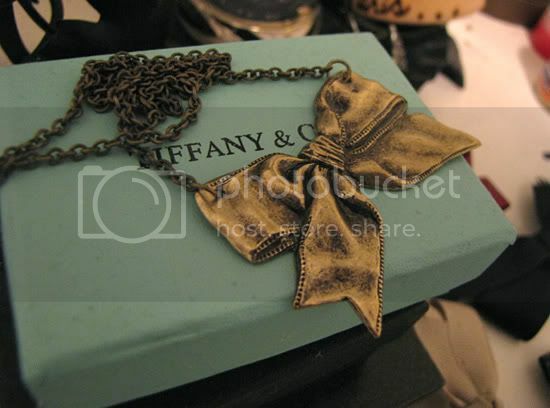 I love that Tiffany Bow! Brass is amazing! What a lovely post, I must find time to catalog my jewels someday as well! i think you'd love this online fashion magazine! you own all this amazing jewelry? so intensely jealous right now! the beaded necklace especially - wow. oh my. what gorgeous jewelry you have there!!! I love your collection! 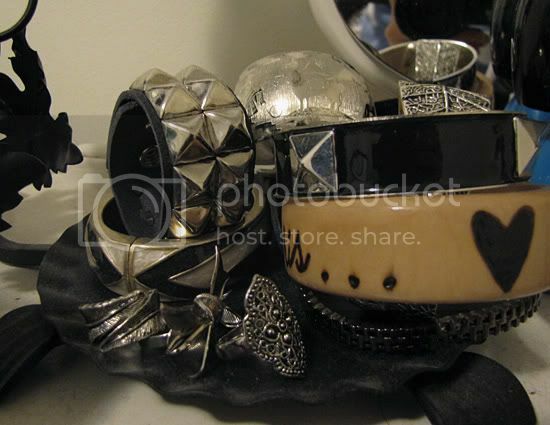 the vintage bow one is so cute, would love that! I really should invest in some jewelry for myself. I don't have any. so many gorgeous pieces here! love it! Oh my! I really want to raid your jewelry collection.